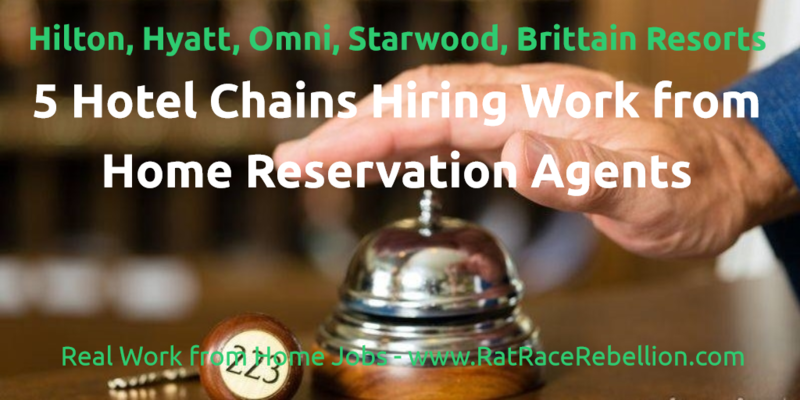 We’re seeing a growing number of hotels jump on the work from home bandwagon when they are looking for great reservation agents and customer service reps. Following is a list of five major hotel chains that regularly post job openings for home-based workers. Bear in mind that some may require that you live in a specific geographic area, but others will not have restrictions, so read their job descriptions all the way through. This entry was posted in Customer Service Jobs, Hiring Companies and tagged hotel reservation agents. Bookmark the permalink.